Chef Mollie have created a menu of dishe using the finest seasonal produce. Table service throughout for food and drinks. Taking inspiration from around Italian cuisine. Using incredible ingredients, whole animals and fish are butchered and prepared on site every day, and paired with ingredients so good they really speak for themselves. A mixed green salad with carrots, celery, in a balsamic vinaigrette dressing with sliced Parmigiano cheese. Bib lettuce, tomatoes, onions, extra virgin olive oil and lemon juice. Fresh sliced mushrooms, celery and rugola in a lemon dressing with sliced Parmigiano cheese. Fresh Buffalo mozzarella sliced tomatoes and basil drizzled with extra virgin olive oil. Tuscany's most famous soup of fresh vegetables, beans, and cabbage. Italian Arborio rice with prawns in a pink tomato sauce. Spaghetti with fresh prawns, squid, clams and mussels in a tomato sauce. Ravioli stuffed with Tuscan salami, chicken and ricotta cheese in a pink cream sauce. Fresh flat pasta with grind veal, beef, and pork simmered in wine, cognac, and tomato sauce. Grilled skinless chicken breast marinated with rosemary served with fresh sautéed vegetables. Fresh grilled Atlantic striped sea bass served with fresh vegetables. Fresh salmon sautéed with leeks, white wine, cognac and extra virgin olive oil in a pink sauce. A specialty of Naples to honor Queen Margherita of the Netherlands, with mozzarella cheese, basil and tomatoes. Mozzarella, prosciuto, boiled egg, mushrooms, artichoke hearts, olives, and tomatoes. Mixed green salade with balsamic vinaigrette dressing with sliced Parmigiano cheese. Fresh sliced mushrooms, celery and arugula in a lemon dressing with sliced Parmigiano cheese. 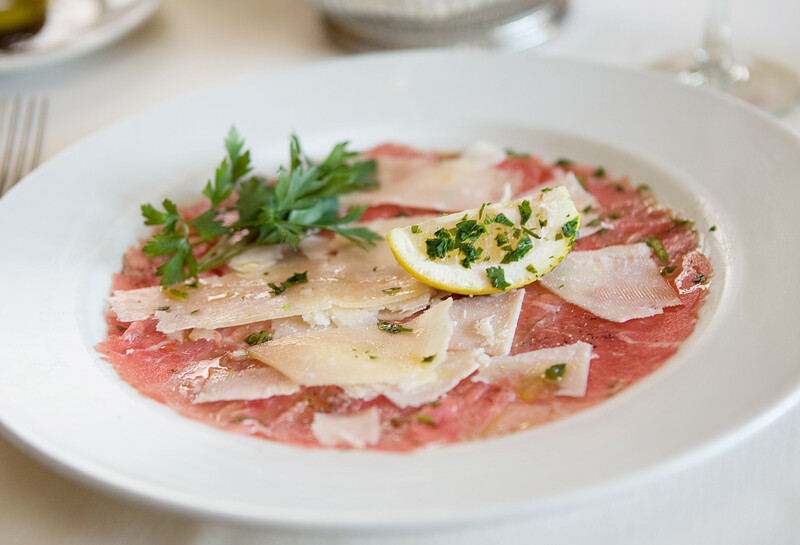 Sliced paper-thin raw beef with Parmigiano cheese drizzled with extra virgin olive oil and lemon. Cured ham from Parma thinly sliced served with fresh cantaloupe. Grilled eggplant with Mozzarella Cheese, smoked ham and pesto sauce. Diced apples with Belgian endive, glazed walnuts, cherry tomatoes with lemon dressing. Ravioli with eggplant, zucchini, ricotta cheese and spinach in a tomato sauce with a touch of thyme. Italian style crepes filled with ricotta cheese and spinach in a tomato sauce. Fresh wide ribbon pasta with asparagus and prawns sautéed in white wine, shallots and garlic. Fresh Atlantic striped sea bass sautéed in extra virgin olive oil, cognac, shallots, and porcini mushrooms sauce. Fresh steamed salmon served with fresh seasonal vegetables. Fresh grilled assorted seafood served on a bed of spinach and seasonal vegetables. Open-faced Ciabatta bread baked with mozzarella cheese and topped with sautéed mushrooms. Open-faced Ciabatta bread baked with mozzarella cheese and topped with prosciutto. Spaghetti with smoked Italian bacon, ricotta cheese in a light tomato sauce. 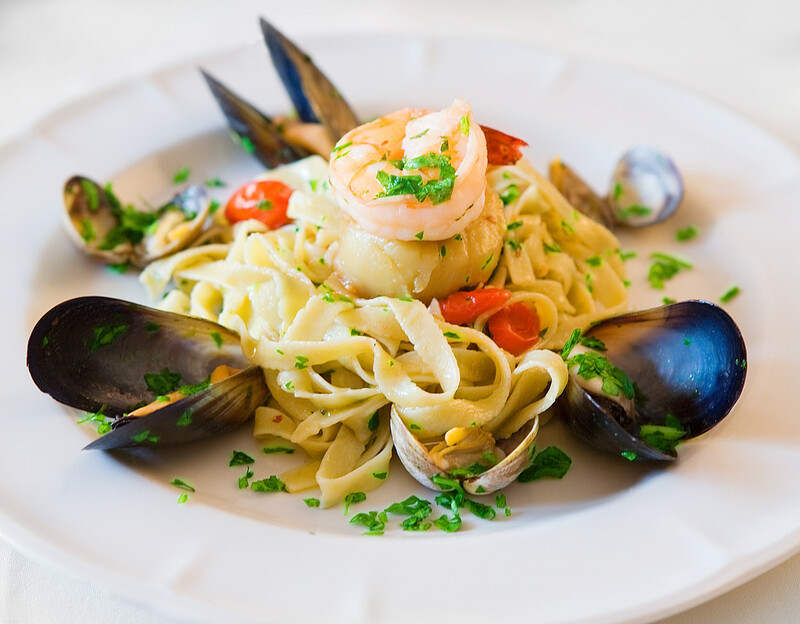 Linguine with fresh Manila clams in tomato sauce or in with white wine and extra virgin olive oil. Tomatoes, mozzarela, Breasola (cured beef) and arugola. Veal with lemon, capers, and Italian parsley sautéed in a white wine and extra virgin olive oil sauce. Veal shank with prosciutto, onions, celery, carrots, and tomato cooked in white wine. Served with risotto or vegetables. Free range "Hunters" chicken breast sautéed with mushrooms and white wine sauce in tomato sauce. Italian meatballs made with turkey, spices and raisins in tomato sauce. Served with spaghetti or vegetables. Plenty of rich fruits. One of the greatest Port Vintages of the century. Strenght of fruit and tannin. A truly exceptional vintage. 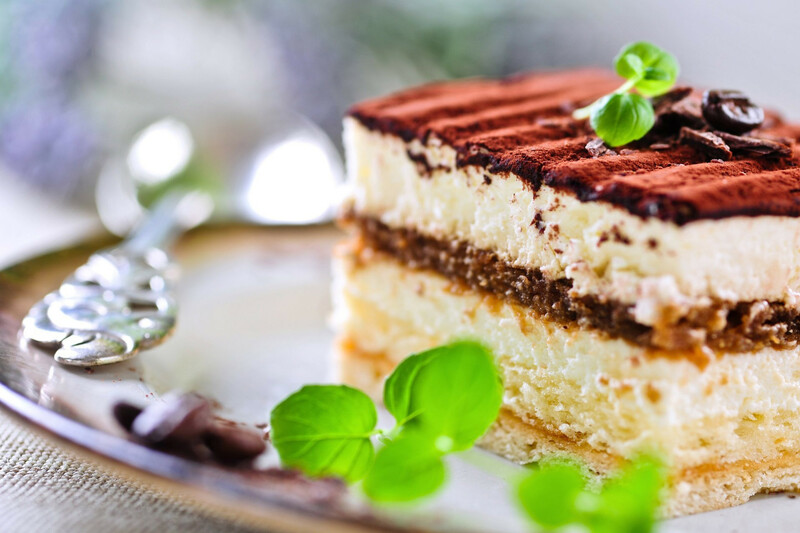 The Italian "pick me up" dessert. Made with mascarpone, espresso, eggs and amaretto. Classic cheesecake with a touch of lemon served on a bed of strawberry sauce. White chocolate ice cream, drowned in cognac and espresso. Cooked vinalla cream served on a bed of chocolate and strawberry sauce. Fresh assorted seasonal fruits diced and mixed together with lemon juice and sugar. The blend is sourced from grapes at tree top vineyards in Santa Barbara County resulting in intensely colored –green, gold and grassy hues. The wine is rich, toasty, tight and powerful. Zested and refreshing watermelon and guava, bone dry with a chalky and tangy finish. Fresh peach, lively and intense with silky texture and long on the palate. Lush tropical flavors with pear and apple tones, from one of Santa Barbara's most renowned regions. One of the highest rated Chardonnays in California for the last 10 years. White burgundy style at its best. Fruity, fresh and crisp with gentle acidity and a balanced finish. 100% Vernaccia grapes, persistent, fruity and rich. Fresh fruit flavors with a characteristic almond aftertaste. Fresh and fruity, a finely produced Pinot Grigio, with apple, honeysuckle, citrus and herb flavors. Fresh, harmomous fruit set off by slight sweetness with a long finish full of delicate, tangy flavor. Golden color with aromas of apricot, almond and delicate fruits. A complex bouquet with fruity aromas of citrus, pineapple and pears blending with vanilla from the oak used for aging. Mixing dark red and blue fruits with multiple layers in mid-palate and a very long finish. Barrel aged early allowing the oak to fully integrate into the wine’s body, ripe bing cherry flavors. An elegant wine with complex characteristics of blackberry and dried fruits. 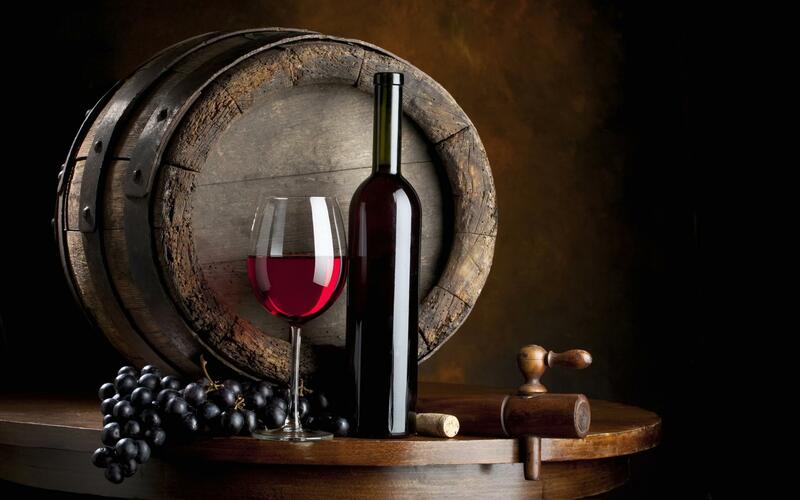 Deep ruby color, with rich raspberry and plum aromas and flavors, light body, lush fruit, soft. Aromas of ripe wild berries, forest floor and cedar, a silky wine with a lengthy finish. Aromas of dark fruit, a nice licorice accent and a long dense finish. A blend that is an amalgamation of memories, both distant and recent. Mountain fruit with great depth and richness, a powerful full flavored Cabernet. Layers of cassis, blackberry, coffee and vanilla. Rich, intense and complex. Aromas of cherries, oak and earthy overtones - all in memorable harmony. Nuances of spice, cedar forest and licorice lead to rich layers of cassis. Superbly balanced with an intense purple hue. Full bodied spicy nose. Pleasant and intense bouquet, with analmondy palette with moderate acidity. 100% Nebbiolo, nuances of violets, anise and spice. Full of rich, sophisticated flavor with a long, velvety finish. Medium bodied and supple with flavors of cherry and chocolate. Intense perfume with clean scents of ripe fruit, tobacco and spices. Full and austere flavor with good body. Hints of licorice, forest fruits, violets, cinnamon and clove. Well balanced with a persisting finish. Described by the Wine Spectator as "perhaps the finest Italian wines ever made”. Intense vanilla, clove and woodsy aromas, velvety dark cherry flavors with licorice and notes of ripe red fruit. Modern approach with fruit layers and thick velvety texture, 93 point from Wine Advocate. Dried fruits, almonds, with a deep, rich and full-bodied finish. A powerful wine with spicy, wild cherry aroma, velvety taste and a long finish. Cherries, red berries, with hints of vanilla lead to a dazzling finish with walnuts and hazelnuts. Notes of black cherry and spice, full-bodied with firm tannins and a robust finish. Pronounced cherry and violet aromas, full-bodied with remarkable depth and a lengthy finish. The little brother of brunello, the "Rosso" holds all the characteristics of Montalcino. Merlot, Syrah and Sangiovese. Balanced, almost musical with espresso roast and earthy scents. Flavors of cooked berry offset with mineral traits, anise, pepper and chocolate tones. Full-bodied and complex. Spices, cherries, blackberries, light tobacco and chocolate undertones. Ripe silky tannins frame expressive red cherries, flowers, licorice and tobacco. Intense ruby red, ripe and classic with vanilla overstones. Full, soft, velvety, recalling licorice and spices. The original Super Tuscan made with Sangiovese, Cabernet Sauvignon and Cabernet Franc. Intensely fruity and a complex nose, full bodied, rich and complex in the mouth with exceptional structure and a lengthy finish. Cabernet Sauvignon, Merlot and Syrah. Beautiful aromas of blackberry and light toast woth a full-bodies palate, decadent after-taste.